Home Politics 2019 GUBER ELECTION: Hon. Tony Nwulu And The " Mezie Imo Movement"
2019 GUBER ELECTION: Hon. 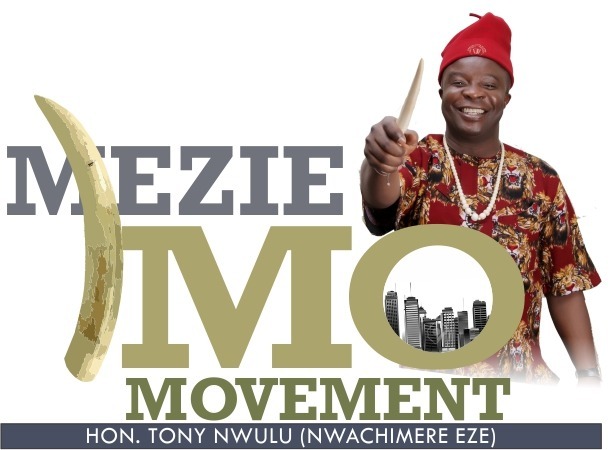 Tony Nwulu And The " Mezie Imo Movement"
Imo State, which happens to be the eastern heartland of the nation is optimistic that the forthcoming 2019 guber polls will create opportunities that will deliver the state into the hands of a leader who considers equality in developments, sustainable projects and the provision of innovative structures that will stir youth inclusiveness in governance. But the question is, how can this be achieved? Well, the answers are not farfetched, as one of the aspirants under the PDP umbrella and also an outstanding Rep member in Lagos state introduced his "Mezie Imo Movement" (Fix Imo) for the citizens. Hon Tony Nwulu who represents Isolo/Oshodi Constituency in the green chamber of Lagos State has been applauded for the unconditional developments and projects he initiated in the constituency; however, the indigenes of the state have yearned for his leadership prospects and ideology in Imo State. In furtherance of these yearnings, the young leader has initiated the Mezie Imo Movement to rebuild the state and provide a channel for responsive leadership, reactive development and proactive advancement. Considering the trends of underdevelopment and poor infrastructures in the state especially beyond capital city, it will be apparent to say that Imo state needs a fix it idea to get it right. This movement will usher in equal opportunity for every Imolite and create adjustments as well as disciplinary components that will torpedoed the stronghold of corruption in the state. However, in all these, the fundamental question of who will bell the cat appears to have gotten an answer: Hon Tony Nwulu slogan "...Fix Imo " (Mezie Imo) has been analyzed, tested and trusted to lead the rebuild mission in Imo State. The consideration of the young honorable as the most credible candidate in the forthcoming gubernatorial elections in Imo state is indeed the beginning that puts an end to the challenges of insecurity, pension challenges, tourism deficits, recreational quagmire, infrastructural dilapidations and social challenges. Eventually, every Imolite has a role to play in the "Mezie Imo Movement". We must take responsibility to refix the Imo Dream by supporting Hon Tony Nwulu; an icon of innovation, a proactive leader with capacity to promote unequivocal development and growth in Imo state. There is a wind on the horizon; it is called a wind of adjustment; the wind of development and the hazards to underdevelopment. It is the beginning of the "Mezie Imo Movement" in the State as the countdown to the 2019 guber election continues.